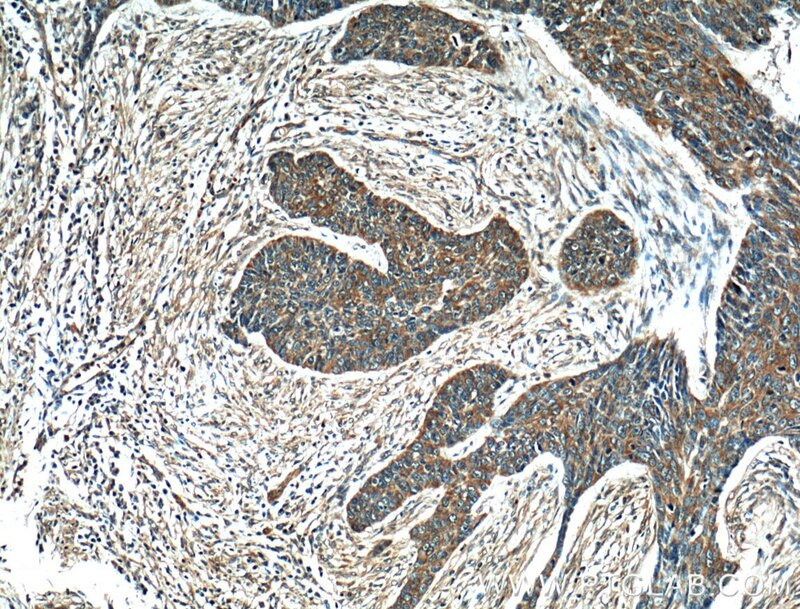 Immunohistochemical analysis of paraffin-embedded human skin cancer tissue slide using 10338-1-AP( Melanophilin antibody at dilution of 1:200 (under 10x lens). 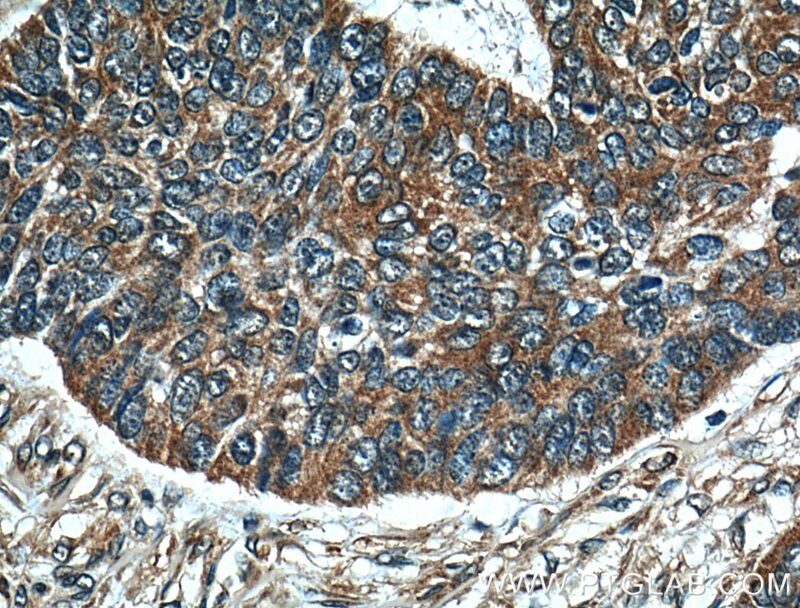 Immunohistochemical analysis of paraffin-embedded human skin cancer tissue slide using 10338-1-AP( Melanophilin antibody at dilution of 1:200 (under 40x lens). 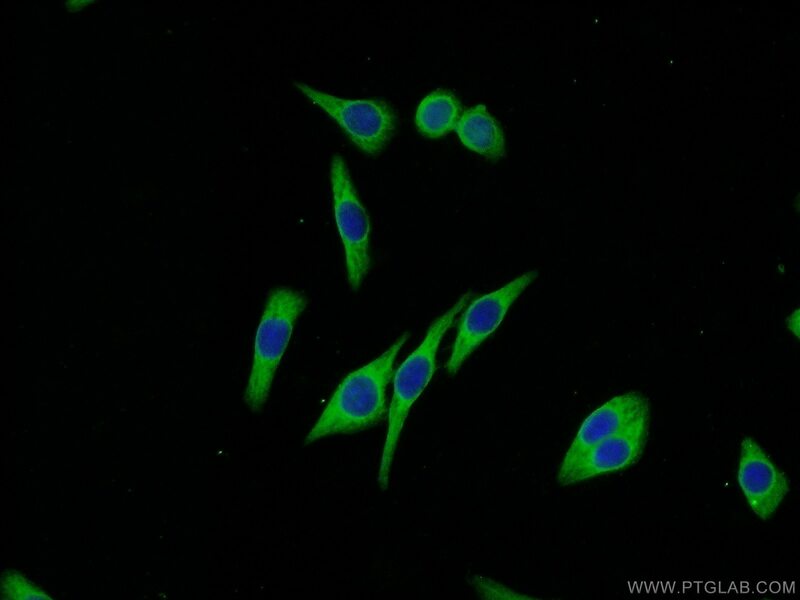 IP Result of anti-Melanophilin (IP:10338-1-AP, 4ug; Detection:10338-1-AP 1:600) with A375 cells lysate 3600ug. 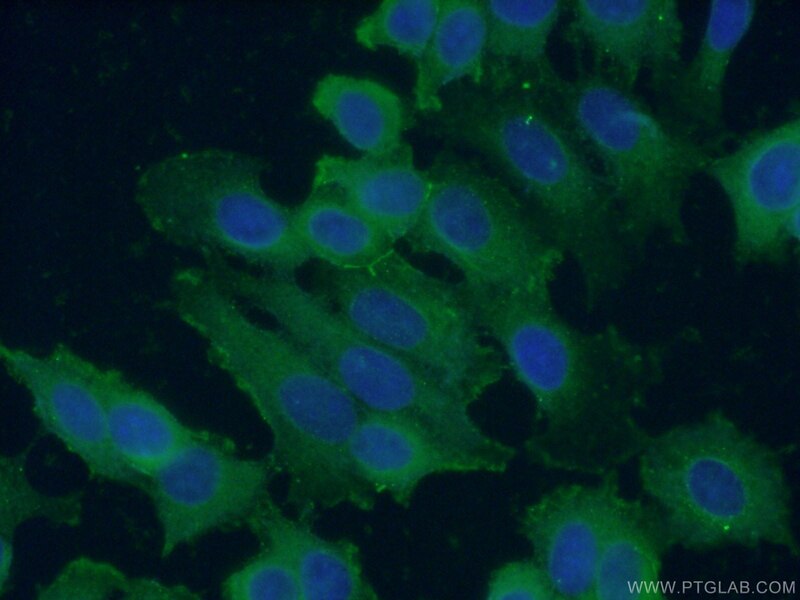 Melanophilin (Mlph) is a member of the exophilin subfamily of Rab effector proteins. 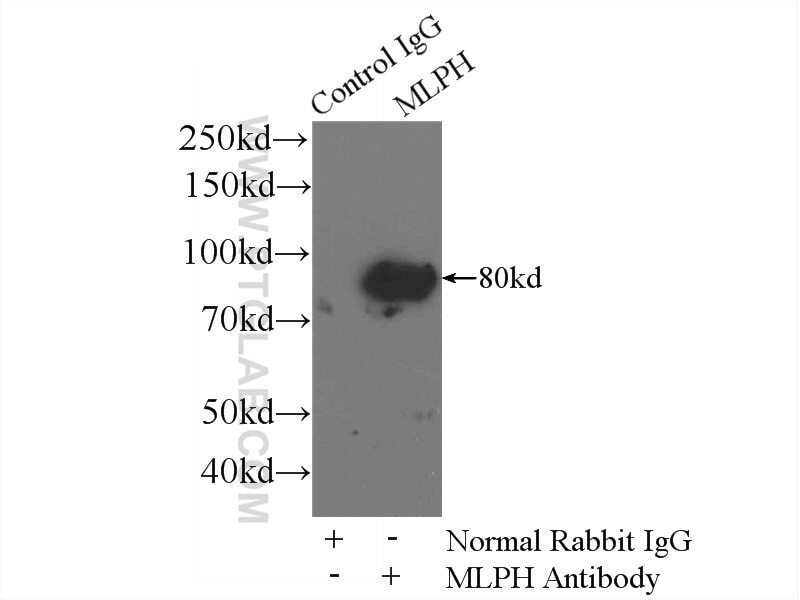 MLPH is a modular protein, forming a ternary complex with the small Ras-related GTPase Rab27A in its GTP-bound form and the motor protein myosin Va. It regulates retention of melanosomes at the peripheral actin cytoskeleton of melanocytes, a process essential for normal mammalian pigmentation. Defects in MLPH are a cause of Griscelli syndrome type 3 (GS3), which is characterized by a silver-gray hair color and abnormal pigment distribution in the hair shaft. A novel missense mutation (G43S) in the switch I region of Rab27A causing Griscelli syndrome. Knockdown of myosin Va isoforms by RNAi as a tool to block melanosome transport in primary human melanocytes. Differential gene expression in normal esophagus and Barrett's esophagus. Cellular and clinical report of new Griscelli syndrome type III cases. Patients with Griscelli syndrome and normal pigmentation identify RAB27A mutations that selectively disrupt MUNC13-4 binding. Inhibitory effect of 2-methyl-naphtho[1,2,3-de]quinolin-8-one on melanosome transport and skin pigmentation.